RAID stands for “Redundant Arrays of Inexpensive Disks”. RAID technology is introduced to disk management to improve the disk data performance and provide data redundancy. RAID can be configured in a variety of ways. 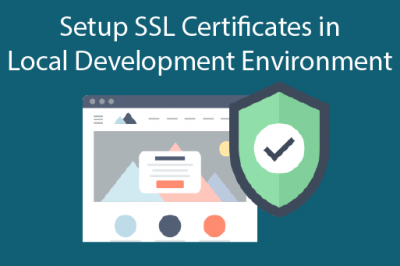 In this article we will go through the various RAID types and the configuration of RAID. In this RAID technology more than 1 disk is added into the group, but the data is written into the second disk only after finishing the first disk. The only advantage of Linear RAID is large filesystem and there is no data redundancy or system performance. 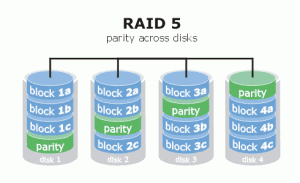 In RAID0 data is distributed evenly across the disk. This improves the access speed, but there is no data redundancy. So, crashing of a single disk will cause data loss. Also, the disk can be of unequal sizes. In RAID 1, the disk data is duplicated into a second disk. When a disk crashes, the second one continues to function. After replacing the bad disk, the data will be automatically copied into the new added disk. Hence, it provides data redundancy without speed/performance enhancement. 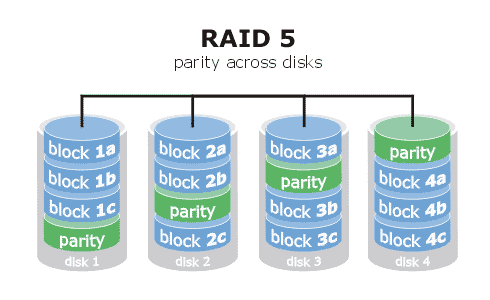 A limitation of RAID 1 is that the total RAID size is equal to that of the smallest disk in the RAID set. Unlike RAID 0, the extra space on the larger device isn't used. In RAID 4, RAID 0 and 1 are combined to provide data redundancy and performance improvement. It requires atleast 3 disks, data is striped across the first two disks and a parity (error check) is added into the third disk. So, in case of any one data disk crashes, data can be retrieved using the parity code. Limitation of RAID 4 is that, data written into any section of the data disk requires an update in parity disk which may become a bottleneck. This technology is an improvement over RAID 4 where parity data is also striped across all the disks. But like RAID 4 , this can also survive only crashing of a single disk. It is always recommended to use all partitions of a disk in RAID rather than using only few partitions, because disk failures will only be able to survive the data in participated RAID partition. In this article, we will go through the configuration of a 3 disk RAID 5. I assume that you have 3 disks /dev/sda, /dev/sdb and /dev/sdc which you want to use in RAID 5. Each disk is partitioned into a single partition which makes use of the whole disk, /dev/sda1, /dev/sdb1 and /dev/sdc1. We can now go through the step by step procedure to add these 3 disks into RAID5. You need to use “fdisk” command to change the partition type of the participating disks. Type “t” to change the partition’s type. Use “fd” to change into RAID. The number of cylinders for this disk is set to 8355. Now, we need to add these 3 disks into the RAID group. This can be achieved using the command “mdadm”. So, for our case we can create the RAID group “md0” as follows. As for normal partitions, you have to format the RAID set first before using it. This can be achieved using the following command. 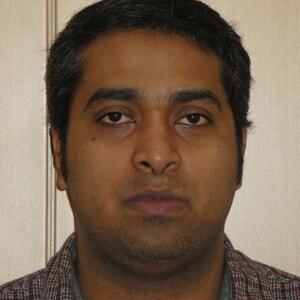 This file includes the configuration for management of Software Raid with mdadm. Some common tasks, such as assembling all arrays, can be simplified by describing the devices and arrays in this configuration file. We can create this file using mdadm command as follows. ARRAY : The ARRAY lines identify actual arrays. The second word on the line should be the name of the device where the array is normally assembled, such as /dev/md0. Subsequent words identify the array, or identify the array as a member of a group. Uuid : The value should be a 128 bit uuid in hexadecimal, with punctuation interspersed if desired. This must match the uuid stored in the superblock. Metadata : The metadata format that the array has. This is mainly recognized for comparability with the output of mdadm -Es. You can mount the newly created RAID group as normal partitions as follows. a. Create the mount point. Now, we are done the software RAID 5 configuration in our Linux machine.